Edward Burne-Jones, the catalogue accompanying the current major exhibition at Tate Britain in London, has now been digitized with Musebooks. 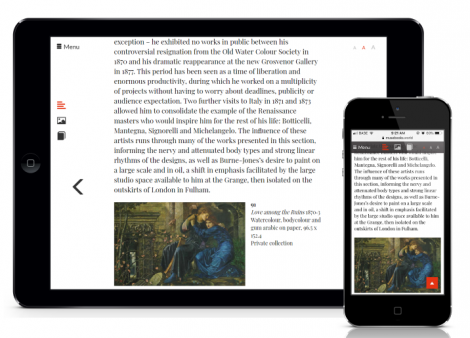 The digital edition appears as part of a new partnership between Musebooks and the Tate to make select publications available online in the innovative Musebooks format. The format allows readers to zoom in on images at high resolution and easily switch between 3 different reading modes: text view, image view, and page view. Published on the occasion of the exhibition celebrating one of the most important and versatile artists of the Pre-Raphaelite movement, Edward Burne-Jones covers the artist’s career from drawings and paintings to stained glass, tapestries, ceramic tiles and more. Rejecting the modern world of the industrial of nineteenth-century England, Burne-Jones and fellow Pre-Raphaelites such as William Morris and Dante Gabriel Rossetti instead looked back to medieval art and culture for inspiration. 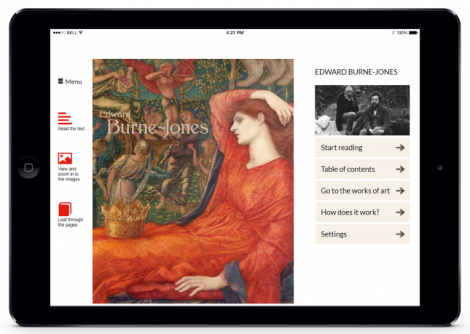 The Musebooks format is the first digital reading experience specially designed for art books. This alternative to e-books, which are not suited for image-heavy books, offers 3 reading modes and image zoom and gallery functions. 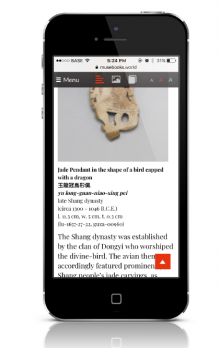 Musebooks are stored in the reader’s personal cloud library and are accessible on all devices via a web browser or the free Musebooks app. Other Musebooks partners include The Museum of Modern Art (MoMA) in New York, Thames & Hudson in London, the Royal Museums of Fine Arts in Brussels and the National Palace Museum in Taipei. 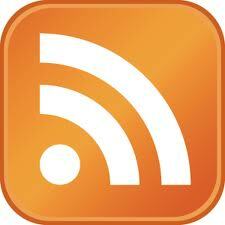 This is the eight in a series of interviews with people using MediaConch within their institutions. 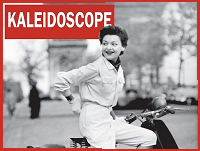 Patricia Falcao is a time-based media conservator at Tate. She uses MediaConch to check files that have resulted from migration. Francesca Colussi is one of the senior time-based media conservation technicians at Tate. She mainly uses MediaConch both for local policy checking and in-house quality control, as a comparison and ‘problem solving’ tool to spot anomalies in exhibition format files.